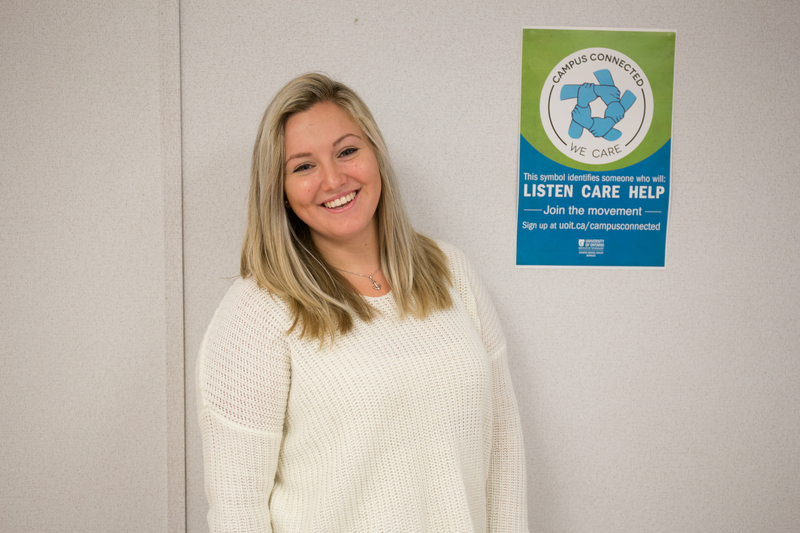 Meet the Student Advisory Committee for the Student Mental Health Services! These students are regular bloggers, so feel free to get to know them below. All UOIT students can become bloggers! Please refer to the Write for the Blog page if you are interested in becoming a member of this online community. My name is Sara Stephen and I am a fourth year Communication and Digital Media Studies student with a minor in Political Science. My passion for Mental Health began after my own diagnosis, and experiencing the challenges of mental illness firsthand. I have been fortunate enough to have an amazing support system with my family and friends and I want to be able to contribute to creating a support system on campus for those who may be away from home, who may not feel they have that system here on campus. 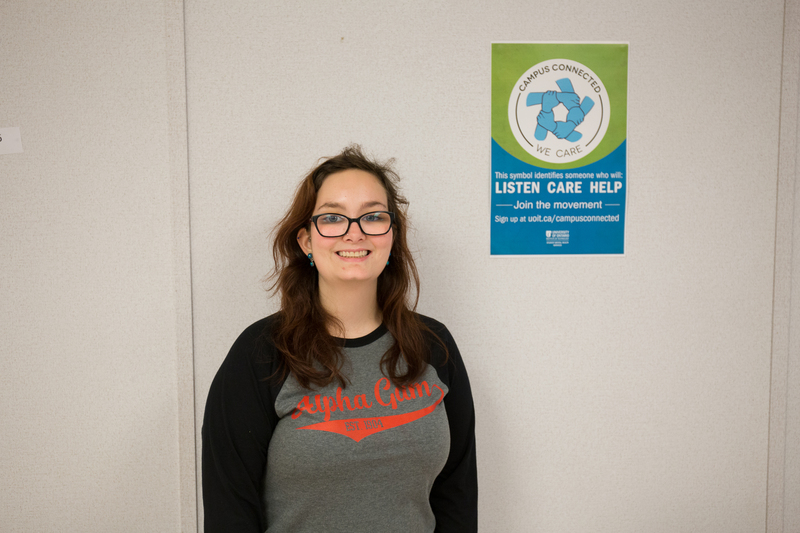 The advisory committee will aid in creating a campus wide initiative that will aim to accommodate the mental health needs of all students, and that is something I’m proud to be a part of. My passion and understanding stems from a place of empathy, a personal understanding of the challenges those with mental illness face and I can’t wait to share my experiences to help others overcome their own challenges. Hey everyone! My name is Charlotte MacLean and I am a fourth year Forensic Psychology student. I am a returning committee member from last year’s launch committee, I am very excited to work with an amazing team towards a common goal of raising awareness about mental health on campus. Mental health is really important to me because I know what it is like to live with someone who has a mental illness and overall health is important to every student. We have lots of fun, creative events planned for all students this year and I cannot wait to see you all out. If you ever need mental health help or have ideas for events or awareness, please reach out to either campus. Can’t wait to see you all at our events throughout the year! About me: I never understood the impact of mental health until I began struggling personally. I hope to be able to help others the way others have helped and continue to help me, and create positive initiatives that will benefit the entire UOIT community! What do you think mental health is ? One’s state of mind that has the ability to affect a person’s emotional, physical, and psychological well being. Why is volunteering for this initiative important? I would like to highlight the fact that mental health is just as important as one’s physical health. As well as, mental illness and mental disorders are more common than people realize. Thus hopefully, going forward, by creating awareness a new more understanding and accepting society can be formed. My name is Julia Acker and I am a second year student in the Faculty of Health Science. I believe that promoting mental health around campus is an excellent way to end the stigma and reach out to help those in need so that they do not have to suffer in silence. Hello! My name is Trisha Bel and I am in my fourth year of Forensic Psychology at UOIT. I am so excited to be part of the Mental Health Advisory Committee for the second year in a row! I am very proud of all the hard work and dedication our members put in last year and cannot wait to see what kind of awesome collaborations we can create with our new members! We have a lot of creative and innovative ideas already and I cannot wait for them to come together! I hope you guys are excited too! Mental health effects everyone and it is important to me that we get the word out, if you ever need anyone to talk to make sure to check out our awesome Mental Health team on North and Downtown Campus and they will be happy to assist you in whatever you may need! Hi! My name is Sam Pruden and I am a second year commerce student. I’m from a small town two hours from here that has a population of 300 people! In my spare time I like to play competitive hockey and hangout with friends. 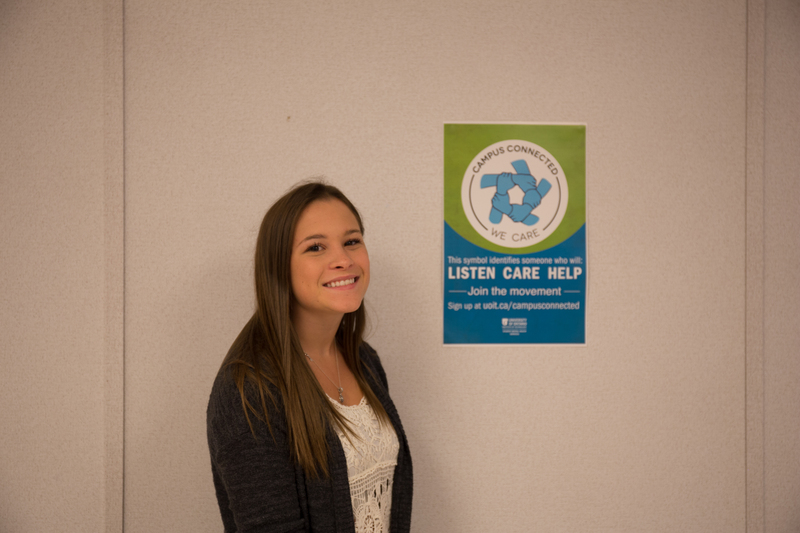 I’m really looking forward to being a part of UOIT’s Student Mental Health Advisory team! Mental health is extremely important to me, as I know many people that struggle with mental illnesses, and have a few friends that lost their battle with mental illness. I want to help as many people as I can and make sure that anyone with a mental illness knows that they are not alone and there are many people out there to help! When we are free from mental illness and have good mental health, we are able to live our lives to the fullest. I want to help you accomplish that! 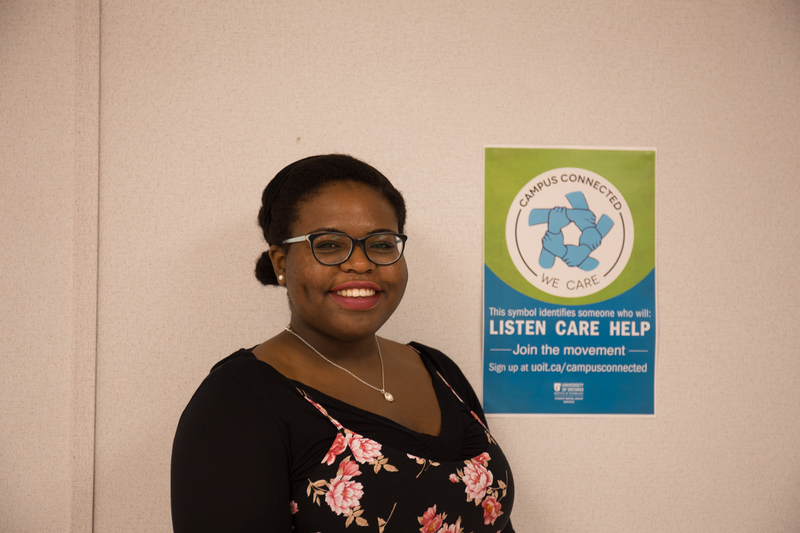 Hi everyone, my name is Dominique Ursini, I am a third year life science student at UOIT. Mental health is a very important subject that is very dear to me. Mental health affects so many people in so many different ways and I personally had a friend that I have lost because of it. I want to take a stand and let people know they are not alone, everyone deserves help and that no one should ever feel they are alone, because the truth is you’re not. Being a student can get tough and everyone will experience anxiety or stress at some point during their life, the main question is how will you deal with it? 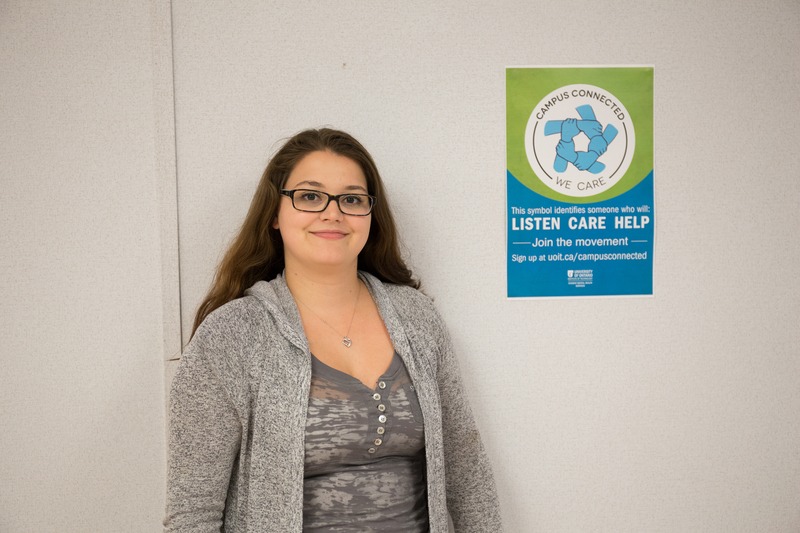 I want to make sure that people know there is a safe way and place that they can cope with their feelings at UOIT. 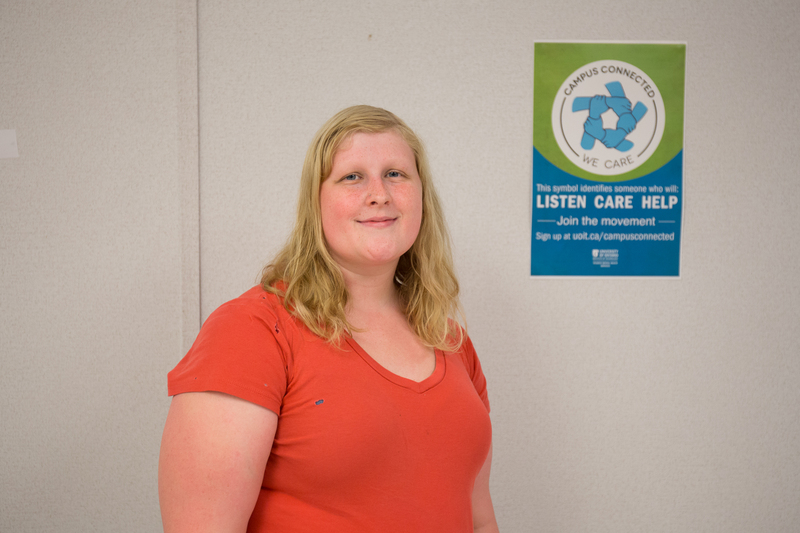 Overall I want to help make UOIT a mentally healthier environment. 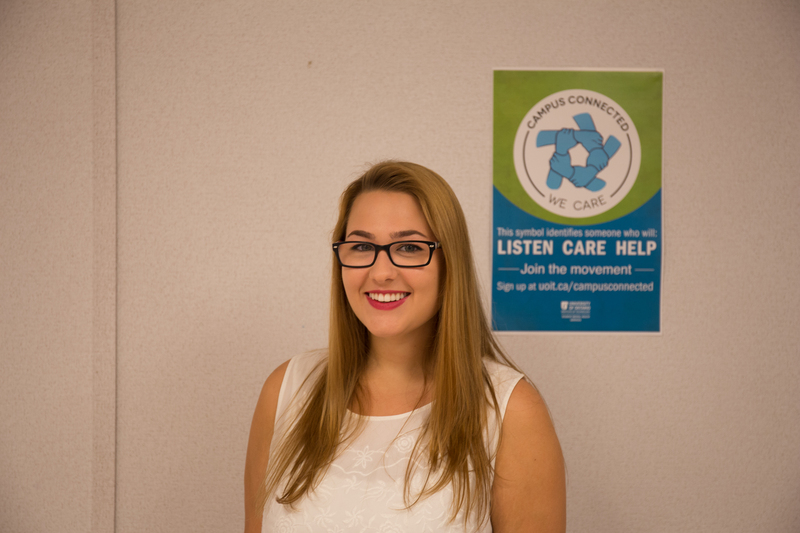 My name is Shannon Donnelly, and this is my second year on UOIT’s Student Mental Health Advisory Committee. This is my fourth year at UOIT and I’m a third year Medical Laboratory Science student in the Faculty of Health Science. I am also a student ambassador for UOIT! I have lived with Major Depressive Disorder since I was 15 years old, and in March, I was hospitalized due to worsening depression. I’m on this committee to help reduce the stigma associated with mental illness and help create a culture of empathy and understanding. I want to do this by sharing my stories, experiences, and tips, whether through the Student Mental Health Blog, or events hosted by us!